Your espresso machine may be the cornerstone that your coffee program is built on, but it’s not much use without a grinder. In a commercial setting, pre-ground coffee just won’t cut it. You should be giving just as much consideration to your choice of grinder as you would with your espresso machine. Just like an espresso machine, your espresso grinder needs to be selected to match the expected volume of the application. With that said, here are a few things to look out for as you begin your search for the perfect companion to your espresso machine. For a deeper look at what makes grinders tick, and how to pick one out, be sure to sign up for a free consultation and for access to our entire suite of commercial guides and worksheets. Burr size, type, and material are extremely important aspects to selecting the right grinder. To ensure that you’ll be able to grind for espresso consistently, quickly, and at high volumes, you’ll want a grinder with a larger set of burrs. Sizes of 70mm or more are common in coffee shop grinders. Aside from size, the type of burrs matter too. Conical burrs are good for limiting heat and controlling things like noise and energy use. On the flipside, flat burrs can retain less grounds and lead to better flavor, but can overheat when met with high volume usage. Finally, materials like hardened steel are strong, but prone to wear. Coatings like titanium are becoming more popular, and can help mitigate issues like wear and tear, with, of course, an increased cost. Also worth considering is the size of your grinder. While you’ll want to make sure your shop can accommodate a serious commercial device, you also need to make sure it fits into your workflow and counter-space. Will it fit nicely next to your espresso machine? How difficult will its placement make it to refill? Will your circuit be able to handle the power draw that it’ll need alongside your espresso machine? All of these elements are important to selecting an espresso grinder. 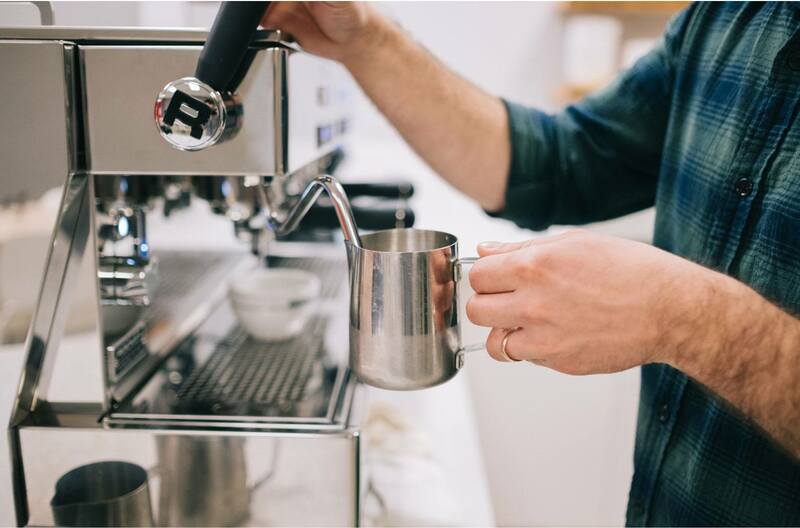 Another thing to consider is whether you want a single grinder to handle espresso and drip coffee, or if you’re going to have multiple grinders for different needs. Different espressos, especially single origins, have to be carefully dialed in depending on the grinder and espresso machine. This can make switching to other grind settings and back tedious and slow. 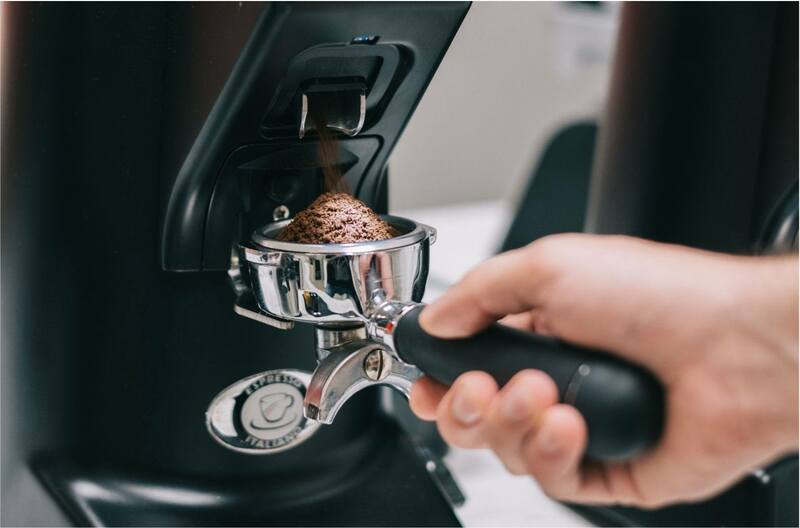 For this reason, you’ll want to consider multiple grinders for different purposes, and possibly even for different coffees depending on what sort of variety you plan to carry. There are even more things to consider when selecting a grinder, such as motor strength, noise levels, retention, and heat. Some of these elements are dependent on things touched on here, but for an even more in depth look at selecting a grinder for your business, sign up for a free consultation from SCG today. 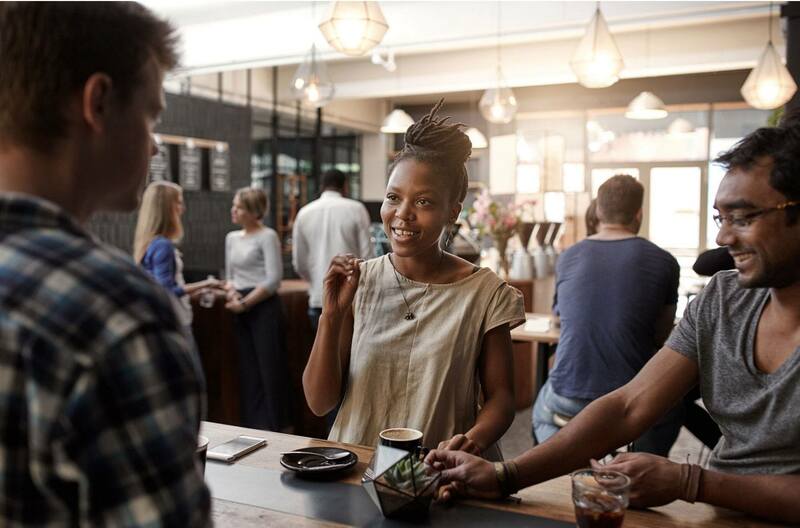 You’ll get access to our consultants as well as a host of articles and worksheets that can help you in all aspects of planning and opening your coffee shop.